Again, another teenager has taken their own life due to the ongoing abuse from anonymous questions and answers website ASK.FM. 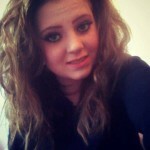 Hannah Smith 14 years of age, took her own life following, the continuous torment she received on the Latvian owned website ASK.FM. People actually told her “drink bleach” (similar to Amanda Todd’s abuse), “go cut ur self n die”, go comit suicide but suced pls” were all the statements she received a month before she ended her life. 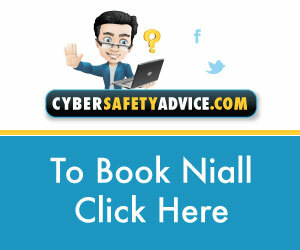 In 2012, there were suicides related to cyber-bullying namely Ciara Pugsley, Erin Gallagher, Lara Burns, Amanda Todd and many more, but what most was frightening about it, was the abuse from online users on the memorial pages. It seemed only weeks ago, I complied a similar article on memorial pages after tragic deaths in Donegal, Leitrim and Kildare. What are Facebook Memorial Pages? When a tragedy happens, whether by suicide or a massive devastation like the Boston Marathon, people tend to talk about these events, media thrive on the snippets of information they get to feed the world, and then the genuine grievers need an outlet also. But this is very that step was one too many when they used Facebook for an area to share their grief with others. 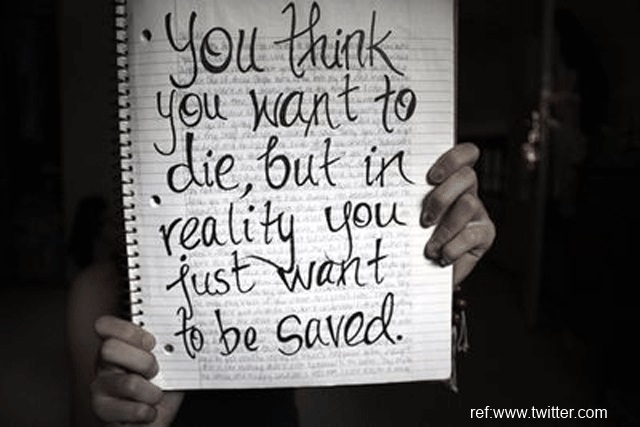 When we lose someone close or someone we know, we express this in many different ways. Talking about it, is recommended by many counsellors who work with grief and its natural we turn to people close to us to grief. But is social media the place to express this intimate emotion? Personally, I believe not, but people think by creating a Facebook Page, to let people share their feelings and memories of the person they lost will give peace and warmth to those close to the deceased. So many times, the compassion turns to anger, bitterness, venom, abuse, evilness and much more. 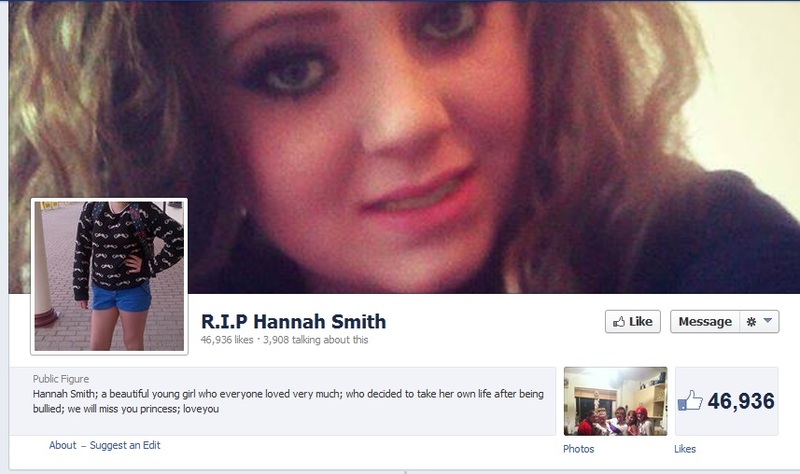 The death of Hannah Smith began another case of this again. 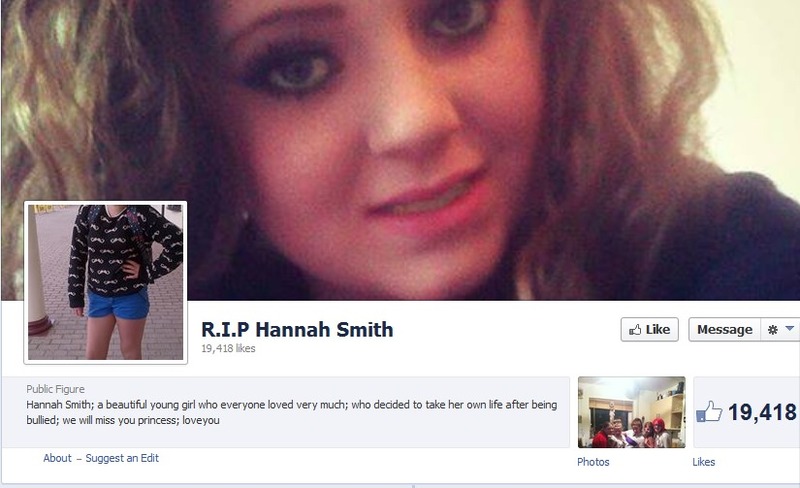 A Facebook page setup for Hannah Smith on Saturday 3rd August 2013 just in sequence of previous cyber-bully deaths, such as Ciara Pugsley, Amanda Todd and many more. This page grew 30,000 Likes within a space of 7 hours when the news became headlines in national media on Tuesday 6th August 2013. It began a place of compassion and sympathy to those who knew her and those that did not know her, some that were even as far as Australia who just wanted to express their emotions. Even her step sister sang a song and put it up on the RIP page. But with all good comes bad also. 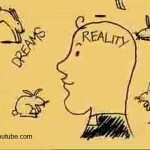 An example of this was an Internet Troll by the name of Jake Williams who posted she deserved and much much more. People reacted to this and other messages, later his account was taken off the Page. One Facebook person wished Karma back on Jake. When people click on their accounts, there is little information to see about these people, which would suggest these accounts were setup to be Trolls on social media sites. 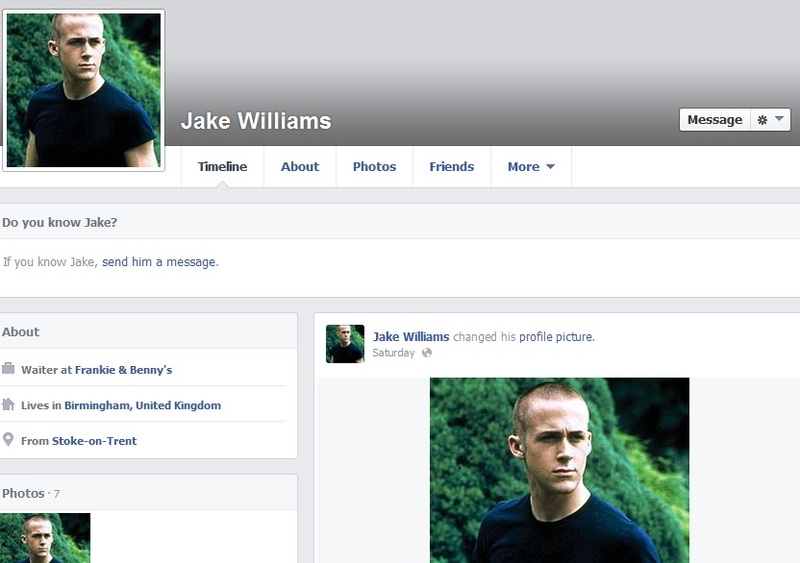 In the case of Jake Williams, he had a picture of Ryan Gosling on his page. All these comments are not new, they have been seen before after tragic deaths of suicide victims. 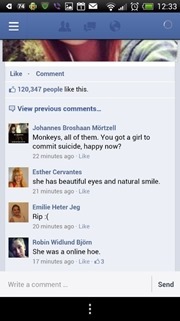 Amanda Todd was also called a “Hoe” on Facebook memorial page after she died.